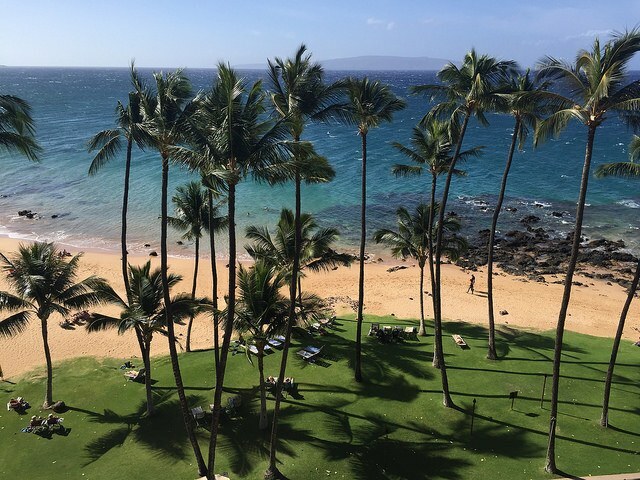 Check out this ocean view from the 7th floor of the Mana Kai Maui beachfront resort in South Maui… even though it’s a windy day here, plenty of people are enjoying themselves on beautiful Keawakapu Beach which spans from Kihei to Wailea. Perched at the edge of Wailea, the Mana Kai commands a perfect spot overlooking the Wailea/Makena coastline. 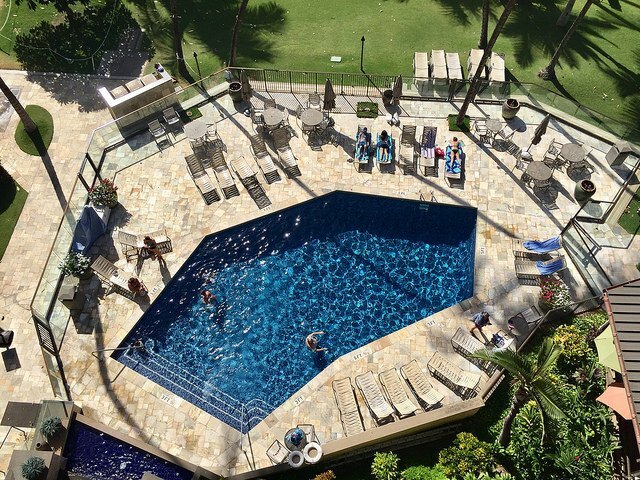 The Mana Kai Maui is an 8 story building situated right on Keawakapu Beach, with 98 2Bed/2Bath apartments of 767 square feet, plus a small lanai. All units are the same layout, though some are mirrored. You can count on views to die for. A really great thing about these units is you can “lock off” one bedroom/bathroom and end up with 2 separate places for people to stay, each with its own entrance. Since they can be rented out short term (daily, weekly), this makes for a flexible arrangement that many owners find attractive. In effect, you can rent it out and stay in it too, all at the same time! Some of the great features here include a convenience store — Zack’s Deli, and an oceanfront restaurant — Five Palms. If you wanted to be really lazy, you could spend your whole vacation right here and never leave the property! Did you see the pool? If the ocean is too rough, you can cool off at the pool. What’s for sale now at the Mana Kai? You can search all Maui condos by name here.